Welcome to beautiful Seabrook Island, a gated private community located just minutes from historic downtown Charleston. This updated contemporary second floor beachfront condo with all new stainless steel kitchen appliances has a panoramic view of the Atlantic Ocean and the inlet to the North Edisto River and drop dead gorgeous sunsets at dusk. There is direct beach access from the unit. The Beach Club which has a variety of dining facilities is also where the three sparkling pools are located; this is only a five minute walk from the villa. Available to guests as well are two world class golf courses designed by Willard Byrd and Robert Trent Jones and the Racquet Club which offers 15 professionally maintained clay courts with a full service Racquet Club Pro Shop. An Equestrian Center on the island offers rides for both beginners and advanced riders. A full service supermarket is located just outside of the island along with additional dinning, shops, and banks. Granite countertops in all bathrooms. 75 yard walk to the beach. New washer and dryer 2013. Outdoor parking next to condo. Brand new all stainless steel kitchen appliances. Separate dining area that seats 4. The pools located within the Seabrook Island Beach Club is only a 5 minute walk from the condo. My husband and I really enjoyed our stay at pelican watch. Seabrook is one of our favorite vacation spots. 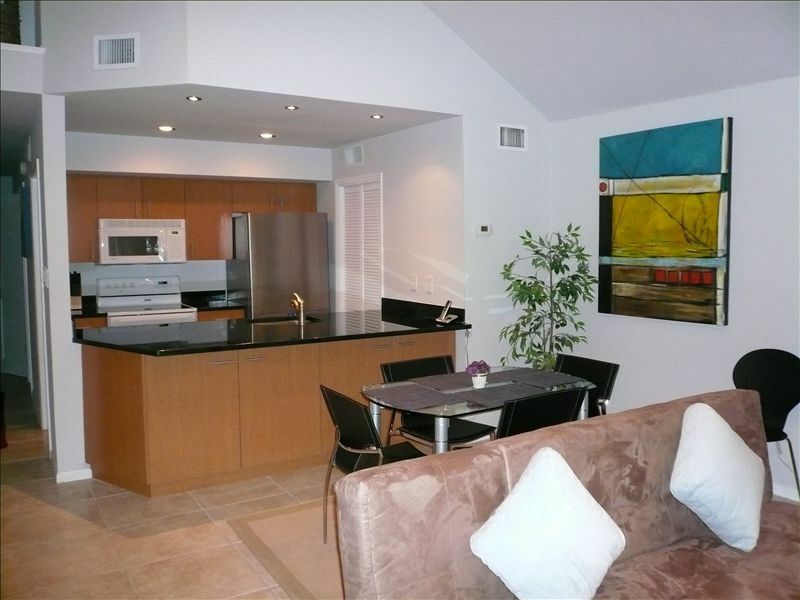 This is one of the nicer condos that we stayed in. The view of the ocean is very peaceful. The condo was clean and spacious. We enjoyed the condo & the location was great! We will be back. We did have a communication problem with the owner,entering the villa on check-in but the owner did allow us to stay longer on check out day. The villa is very nice but a few rugs would help with the echo and excess sound. Perfect place for two adults for a quick get away with beautiful beach access and views! Seabrook Island is a true treasure. The condo's location couldn't be any better. While the condo itself is very nice it's what's out the back door that makes it so great. A stroll on the beach to watch the dolphin's play or to enjoy the most amazing sunset make this the perfect vacation spot. Thank you Peter for being such a great host. We look forward to staying with you again. Decided to try Seabrook area because closer to Charleston. Peter's condo is very nice and has pretty much all you need as far as kitchen etc. I was very pleased with the different types of wine glasses provided. Place was very clean and very quiet which seemed to be the theme around Seabrook. The nearby Beach Club food was great and positioned right on the water's edge, with many additional dining options at the nearby (2 mi) Freshens shopping center which also has a Harris Teeters. The view off the back deck is really beautiful, much better than is shown in the pictures. 1. Holiday rates (Thanksgiving and Christmas) vary from year to year. Please inquire about these rates. 2. Please inquire about our special (January and February) snowbird special rates. 3. An additional $85 departure cleaning fee applies for stays of less than 5 nights.